It's always when I'm out and about in the countryside when I feel inspired to paint. Straightaway I'm thinking how I could capture my experience - what to focus on; what to leave out. What it is about a certain place that stopped me in my tracks. I use a combination of sketches and words which I constantly refer to throughout the process of making a painting. 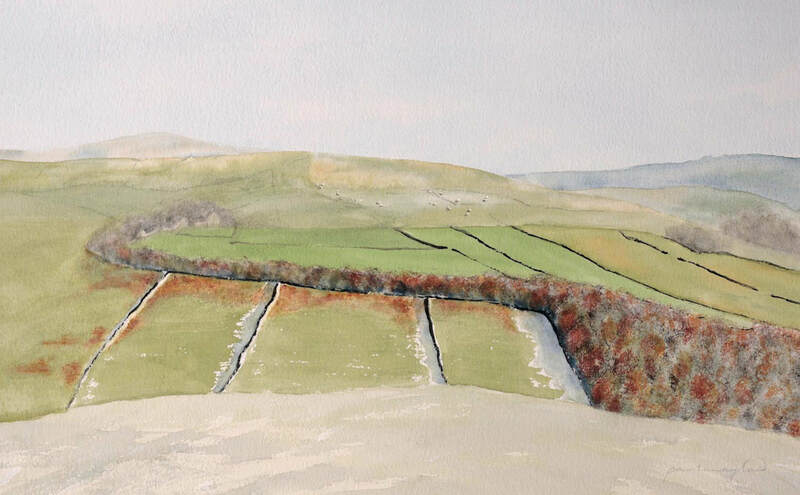 This original watercolour painting is sold unframed in antique white mountboard with backing board, ready to frame. If you would like to buy it framed please contact me for further details. If you are interested in buying this painting, please send a message and I'll get straight back to you!